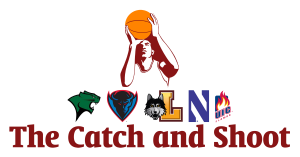 With practice underway and the first games only a handful of weeks in the future, it’s time for The Catch and Shoot to start rolling out its preseason content. To get things started, here is an overview of the favorites for all 32 college basketball conferences this season. The America East is very weak this year. Stony Brook has the best player in the conference in forward Jameel Warney, but the Seawolves are lacking depth. Albany, which earned the league’s NCAA Tournament bid last year, returns some good players but also lost a few starters. Hartford finished third last year, and with its top four scorers returning this could be the Hawks’ year to reach the NCAA Tournament for the first time. Senior forward Mark Nwakamma is one of the conference’s best players, and the Hawks have a trio of solid guards in senior Yolonzo Moore II, senior Wes Cole and junior Taylor Dyson. SMU would’ve been a legitimate Final Four contender with Emmanuel Mudiay, but even without the talented point guard choosing to play professionally overseas the Mustangs could play deep into March. Junior guard Nic Moore is one of the country’s most underrated players, and he has sophomore Keith Frazier, a former top-100 recruit, beside him. The Mustangs could also add Virginia Tech Ben Emelogu, who applied to the NCAA for a hardship waiver so that he would not have to sit out a year after transferring. Meanwhile, Markus Kennedy, Yanick Moreira and Ben Moore all return to form a very skilled front line. The addition of Xavier transfer will also help out in the front court. The Mustangs will have plenty of competition in the AAC, though, with Connecticut and Memphis. The Atlantic 10 is a bit down this year, but VCU is a clear-cut top-20 team. Senior Treveon Graham is one of college basketball’s most underrated players, and senior Briante Weber is among the best backcourt defenders. Junior Melvin Johnson is coming off a strong sophomore season and is ready to take on a bigger role for the Rams. The only thing VCU is lacking is a proven big man. Sophomore Mo Alie-Cox is undersized at 6-6, but he has the skills to be an effective starter. 6-8 freshman Terry Larrier should also play a big role in the thin front court. The ACC’s top four teams are better than those in any other conference. Duke, Louisville, Virginia and Louisville are all top-15 squads with the talent to play deep into March. But Duke enters the 2014-15 season as the leader of this fantastic group. The Blue Devils lost a ton of talent, but they return a pair of great guards in senior Quinn Cook and junior Rasheed Sulaimon. Underrated junior big man Amile Jefferson is also back. Duke has another great group of newcomers entering the program, highlighted by Jahlil Okafor and Tyus Jones. Okafor has the talent to be a National Player of the Year candidate, and Jones is far and away the best point guard among this season’s freshman. He will most likely be taking the reins from Cook, who was one of the ACC’s best point guards last season. Justise Winslow and Grayson Allen are a pair of freshman wings also capable of making big contributions in their rookie seasons. Florida Gulf Coast is primed for a return to the NCAA Tournament. The Eagles still have guards Brett Comer and Bernard Thompson, who were key players on the team as sophomores when they advanced to the Sweet 16. In addition to that backcourt tandem, the Eagles have a strong group of transfers that can make them one of the nation’s top mid-majors. Rice transfer Julian DeBose and Auburn transfer Brian Greene Jr. give Florida Gulf Coast two more scoring options out of the backcourt. The Big 12 will be strong again this season, but Kansas still leads the pack. Although the Jayhawks lost stars Andrew Wiggins and Joel Embiid, as well as point guard Naadir Tharpe and big man Tarik Black, they are a national title contender. 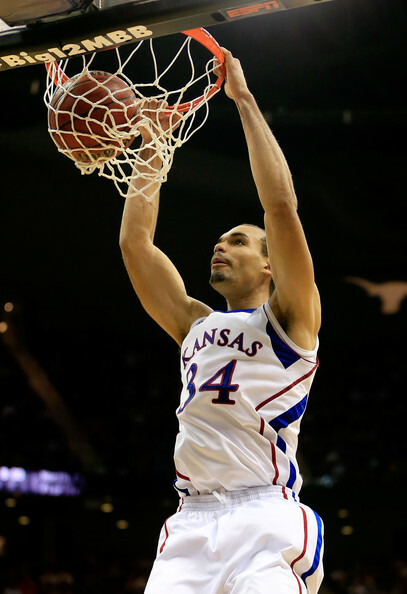 Junior forward Perry Ellis is coming off a huge sophomore season, and sophomore guard Wayne Selden Jr. will be one of the Big 12’s best players as he becomes one of Kansas’ alpha dogs. Add in a loaded freshman class with Cliff Alexander, Devonte’ Graham and Kelly Oubre, and it’s not out of the question for the Jayhawks to be more successful this year than they were last year. Villanova is the favorite to repeat as the Big East champion. The Wildcats lost James Bell but return everyone else from last year’s roster, so they should once again be a top-15, maybe even a top-10 team. Senior Darrun Hilliard, junior Ryan Arcidiacono and sophomore Josh Hart make up a killer backcourt. And the front line is very strong too with senior JayVaughn Pinkston and junior Daniel Ochefu starting. Georgetown should return to college basketball relevance this year, but the Big East is Villanova’s to lose. Eastern Washington has the offensive firepower to overpower the other teams in the Big Sky. The Eagles have arguably the best player in the conference in junior guard Tyler Harvey. Junior forward Venky Jois is also one of the league’s best player. Harvey was a dominant scorer last year averaging 21.8 points and shooting 43.3% from 3-point range. Harvey and Jois were the Eagles’ top two scorers last season, and their next three best scorers are also returning. High Point has one of the most effective mid-major big men in John Brown, and it also has a pair of talented, veteran guards in senior Devante Wallace and junior Adam Weary. Brown, a 6-8 junior forward, is the best player in the Big South. He built on an already impressive freshman year by averaging 19.5 points, 7.7 rebounds, 1.6 blocks and 1.5 steals. He does most of his damage at the rim, and against Big South talent he does not have much trouble getting a ton of shots there. Wallace is a deadly 3-point shooter at close to 50%. Wisconsin was among the nation’s best teams all season long and then advanced to the Final Four. And the Badgers now have four starters and their top three reserves returning. Senior forward Frank Kaminsky is a popular All-American pick after averaging 13.9 points and 6.3 rebounds in a breakout junior season. Junior forward Sam Dekker, who put on a ton of muscle in the offseason, has also been mentioned in All-American conversations. These two, along with sophomore Nigel Hayes, form the Big Ten’s best front court. The Badgers also have veteran point guard Traevon Jackson, who is entering his third year as a starter, and sharpshooter Josh Gasser. UC Irvine does not have the best player in the conference — that title goes to senior forward Alan Williams of UC Santa Barbara, another Big West contender — but they do have the best all-around team. The Anteaters won 23 games last season and captured the Big West regular season title. Now they return four starters, including their top two scorers, sophomore guard Luke Nelson and senior forward Will Davis II. The Anteaters also have the most imposing physical presence in the league with 7-6 center Mamadoue Ndiaye. Ndiaye averaged 8.0 points, 6.2 rebounds and 3.1 blocks in just 21 minutes per game as a freshman. And he shot 70.7% from the field. Northeastern limped to an 11-21 record last season, but the Huskies have five of their top six players returning. Plus they add redshirt junior Quincy Ford, who missed all but two games last season after having surgery on his back. Ford will arguably be Northeastern’s best player. He averaged 12.2 points and 5.8 rebounds as a sophomore. Conference USA will once again be a strong league, but Louisiana Tech stands out above the rest. The Bulldogs have a pair of great scorers in junior Alex Hamilton and senior Raheem Appleby. They also have the conference’s best point guard in senior Kenneth Smith, who averaged 7.7 dimes per game last season. Senior forward Michale Kyser logged only 23.3 minutes per game last year, but he posted 7.0 points, 6.6 rebounds and 3.0 blocks in that time while shooting 57.1% from the field. Between Cleveland State and Green Bay, the Horizon League title race should be an exciting one. Green Bay won the league last year, and although it returns outstanding senior guard Keifer Sykes, it also lost talented and versatile big man Alec Brown. Cleveland State also lost a couple of key pieces, but the Vikings have two very good guards in junior Trey Lewis and senior Charlie Lee and one of the league’s best big men in junior Anton Grady. Illinois State transfer Kaza Keane gives the Vikings another solid option in its backcourt. Harvard lost three key pieces from last year’s NCAA Tournament team, most notably sharpshooter Laurent Rivard. The Crimson are easily the most talented team in the Ivy League with junior Siyani Chambers, senior Wesley Saunders and senior Steve Moundou-Missi, among others, returning. But without Rivard, the team’s only perimeter threat is Chambers, the only returning player who shot better than 30% from deep last season. Those perimeter struggles could lead to Harvard losing a few games they probably shouldn’t lose in the Ivy League, but it would be surprising if Yale or Columbia is able to steal the league title from the Crimson. Iona won the MAAC last season but lost to Manhattan in the conference tournament. The Jaspers lost their three best players and, although Siena is another popular MAAC title pick, the Saints reached 20 wins last year only because of a postseason run to the CBI championship. Iona lost leading scorer Sean Armand, but they have three of the conference’s best players in junior guards A.J English and Isaiah Williams and senior forward David Laury. This trio makes Iona one of the nation’s most dangerous mid-majors this season. Toledo was one of the nation’s best mid-majors last year, and the Rockets should be great once again. The loss of shooting guard Rian Pearson is big, but the Rockets still have tons of talent. Julius Brown is one of the top mid-major point guards in college basketball, and Justin Drummond proved himself as an efficient scorer in the backcourt last season. Sophomore guards Jonathan Williams and Jordan Lauf both had their moments as rookies, and they will help fill the void left by Pearson’s departure. The Rockets’ front line doesn’t have much depth, but its starters are among the MAC’s best big men. Senior J.D. Weatherspoon averaged 10.6 points and 6.6 rebounds last year while junior Nathan Booth posted 9.2 points and 4.6 boards per game. North Carolina Central made its first-ever NCAA Tournament last year, and the Eagles could find themselves back in the Big Dance in 2015. The Eagles lost leading scorer Jeremy Ingram and starting point guard Emmanuel Chapman. But with Jordan Parks, Jay Copeland and Karamo Jawara returning for their senior seasons, they easily have the best front court in the MEAC. Adding Texas A&M-CC transfer Nate Maxey will also help up front, especially defensively. Replacing the backcourt production won’t be easy, but North Carolina Central has four transfers that can get the job done. Lamar transfer Nimrod Hilliard averaged 14.1 points and 4.9 assists for the Cardinals last season, Marquette transfer Jamal Ferguson brings BCS-level talent and athleticism and junior college transfers Jeremiah Ingram and Rashaun Madison add some depth. Wichita State will have more competition in the Valley this year, but the Shockers are still the unquestionable favorite. Cleanthony Early and a few big men are gone, but the Shockers have one of the nation’s best backcourts, regardless of conference level, with junior Fred VanVleet, junior Ron Baker and senior Tekele Cotton returning. Senior Darius Carter returns in the frontcourt and is ready for a breakout senior year. Freshman Rashard Kelly and junior college transfer Tom Wamukota will be big additions on the front line. The MWC is San Diego State’s to take. The Aztecs lost star guard Xavier Thames, who really made the team run last season, and big man Josh Davis. Although they may not be quite as good as last year, their league is also down. Colorado State has a bunch of talented transfers coming in, but the Rams also lost a huge chunk of last season’s production. Wyoming has the pieces to make their first NCAA Tournament appearance since 2002, but the Cowboys are still short of being a Top-25 club. New Mexico always remains competitive, but the Lobos lost their three best players from last season. San Diego State has a pair of the best players in the MWC in junior Winston Shepard and senior Dwayne Polee II, an impact transfer in former Arizona forward Angel Chol, and three top-100 recruits. With five starters returning, Central Connecticut State has the pieces to make its first NCAA Tournament since 2007. The Blue Devils have a veteran backcourt with dynamic scorer Kyle Vinales and point guard Malcolm McMillan. The Blue Devils’ front court doesn’t have much size, but that’s not too important in the NEC. Senior Faronte Drakeford and junior Brandon Peel are only 6-7 each, but they combined for 20.5 points and 11.6 rebounds per game last season. Murray State will have strong competition from Morehead State for this year’s OVC title, plus you can always expect good things from Belmont. The Racers lost Dexter Fields, but everyone else is back from last year’s team that won 23 games. Cameron Payne was outstanding as a freshman and should only get better as he gains more experience and maturity. Senior forwards Jarvis Williams and Jonathan Fairell form one of the most underrated mid-major frontcourts. T.J. Sapp and Jeffery Moss are another veteran duo that can do damage from long range. Arizona has a chance to dominate the Pac-12 this year. The Wildcats lost starters Aaron Gordon and Nick Johnson to the NBA, but everyone else is back. Senior T.J. McConnell is the league’s premier point guard, and junior Brandon Ashley, junior Kaleb Tarczewski and sophomore Rondae Hollis-Jefferson create a stacked front line. Freshman Stanley Johnson will be one of the best freshmen in the entire nation this year. Colorado and Utah are Arizona’s top contenders, but both teams are a clear step below the Wildcats’ level. American upset Boston University in the Patriot League Tournament to make the NCAA Tournament, and now the Eagles return four starters. Junior guard Jesse Reed emerged as one of the better players in the Patriot League last season as a sophomore, averaging 13.8 points and shooting 45.8% from 3-point range. Seniors John Schoof and Darius Gardner are two more guards who can shoot the ball very well. With three starters returning and a stacked recruiting class coming in, Kentucky is the popular pick to win the 2015 national title. The Wildcats have a ridiculous amount of talent, and the only other SEC team that looks ready to compete with them is Florida. Kentucky has a strong backcourt with sophomore twins Aaron and Andrew Harrison, and they add two more talented guards in freshmen Tyler Ulis and Devin Booker. The Wildcats also five skilled and athletic big men: junior Alex Poythress, sophomore Dakari Johnson, junior Willie Cauley-Stein, freshman Trey Lyles and freshman Karl-Anthony Towns Jr.
As long as John Calipari can manage having so much talent on his roster with a limited amount of minutes, this Kentucky team can be very special. The SoCon title should come down to Wofford and Chattanooga. 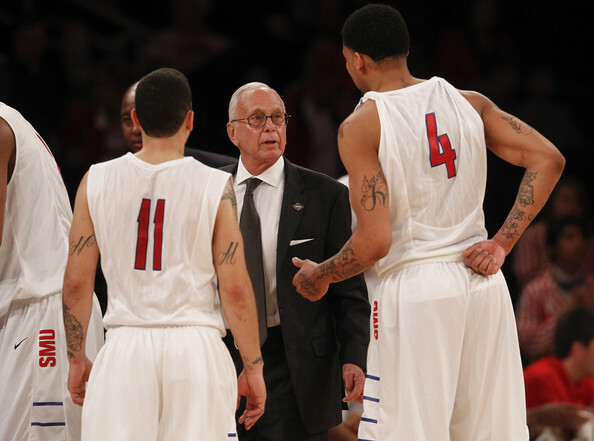 The Terriers went to the NCAA Tournament, and they return all their significant players. Chattanooga won 12 SoCon games and returns three starters. Just because Wofford does not have any production to replace, it has the upper edge. The Terriers have a pair of SoCon Player of the Year candidates in senior guard Karl Cochran and senior forward Lee Skinner. Stephen F. Austin had a remarkable year and won a NCAA Tournament game last season. The Lumberjacks lose leading scorer Desmond Haymon and two other key players in Deshaun Walker and Nikola Gajic. But even so they have many important pieces returning. And in the balanced system that coach Brad Underwood used last season, those losses can be made up. With a duo of senior guard Jacob Parker and junior forward Thomas Walkup leading the way, Stephen F. Austin could definitely return to the Big Dance this season. With North Dakota State losing most of its starters, IPFW has a chance to break through after finishing second in the Summit League last season. The Mastodons’ have arguably the best starting front court in the conference with senior Steve Forbes and junior Joe Reed. Both guys are big and skilled. Although IPFW lost point guard Pierre Bland and wing Luis Jacobo, its backcourt remains in solid shape. The Mastodons have a pair of veterans in senior shooting guard Joe Edwards and senior point guard Isaiah McCray. McCray had a 2:1 assist to turnover ratio last season as the team’s backup point guard and looks ready to become a starter. Sophomore shooting guard Mo Evans is coming off an impressive freshman season where he averaged 9.6 points and drilled 45.1% of his 3-pointers. Georgia State is one of the most dangerous mid-majors out there this season thanks to an awesome backcourt of junior R.J. Hunter and senior Ryan Harrow. The duo combined for more than 36 points, six assists and three steals per game. Senior forward Curtis Washington will not wow you, but he is efficient with 65.6% field-goal shooting and 7.5 points and 2.4 blocks in 22.7 minutes per game last season. These boys will get a chance to make some national noise early in the season when they host Iowa State on Nov. 17. Alabama State is ineligible for postseason play, but the Hornets have the best roster in the SWAC. The Hornets won 19 games last season, and they return their whole rotation. They also add Mississippi State transfer Wendell Lewis. New Mexico State lost a ton of last year’s production, but the Aggies are still the favorite to win the WAC. Senior guard Daniel Mullings is probably the league’s best player, and senior forward Tshilidzi Nephawe is one of the league’s best big men. Junior guard DK Eldridge and junior forward Remi Barry complement those two well. The Aggies do not have much depth, but their stating lineup will be very solid. This could be the year Gonzaga gets over the hump and reaches the Final Four. It seems like they’ve been there forever, but Kevin Pangos and Gary Bell are back again, this time as seniors. Pangos has been on the national radar since he scored 33 points against Washington State in his second collegiate game. Bell has continually improved over his career. The Zags also return Polish big man Przemek Karnowski, who is coming off a breakout sophomore season. But what takes this team to a new level is a group of eligible transfers and freshmen. USC transfer Byron Wesley, who led the Trojans with 17.8 points and 6.4 rebounds per game last season, is eligible immediately. Kentucky transfer Kyle Wiltjer, a deadly 3-point shooter, is eligible after sitting out last year. Vanderbilt transfer Eric McClellan, who averaged 14.3 points through 12 games for the Commodores last year, should become eligible for the second semester. The Bulldogs also have two impact freshmen in Josh Perkins and Domantas Sabonis, the son of former NBA player Arvydas Sabonis. Next article2014-15 Horizon League Preview: Can Keifer Sykes, Green Bay Repeat?